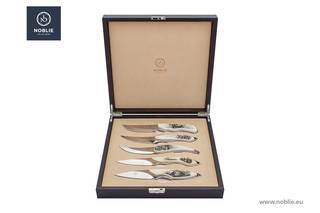 Collectible knife sets represent a special value for people involved in collecting. In the manufacture of such sets, valuable rare natural materials are usually used, which in the hands of the master become unique works of art. Have you ever wondered why, having become the owner of a subtle author's work, you can spend hours admiring lines and contours, weigh a knife on your arm, try on with different grabs and this desire to “play” with a blade does not pass with time? It is simple: you have become the owner of the custom knife, product that carries a piece of a soul of a knifemaker. Choose an expensive gift can be quite difficult. Especially if the person to whom the gift is intended, likes unusual and expensive gifts. You can find exclusive gifts for real men on the website NOBLIE collectibles. 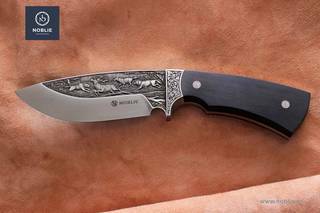 Handmade author's knives are usually created in a single copy or produced in limited editions. 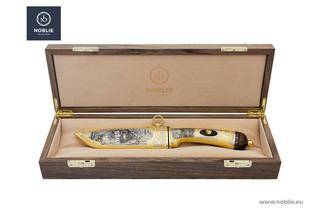 An exclusive gift will be especially valuable if you select product with an unusual handle or with an original blade. Bladed weapons – a symbol of authority. Luxury gifts for men. A weapon is a symbol of authority, valor, courage, nobility, wealth and good taste. The product of high art, combining the noble blade, precious metals and gemstones. The object of passionate collecting and veneration. 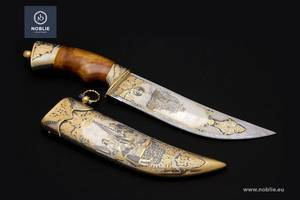 Damascus blade occupies a special place in the history of edged weapons. 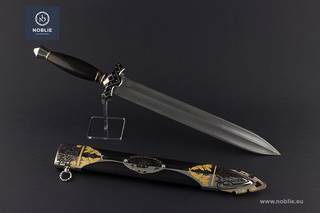 The steel from which such edged weapons are made is a material with an ancient history. 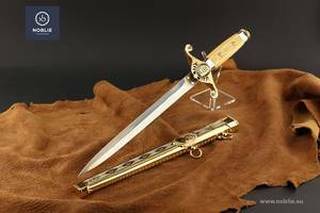 Damascus blade has always been very highly valued for its unique properties.